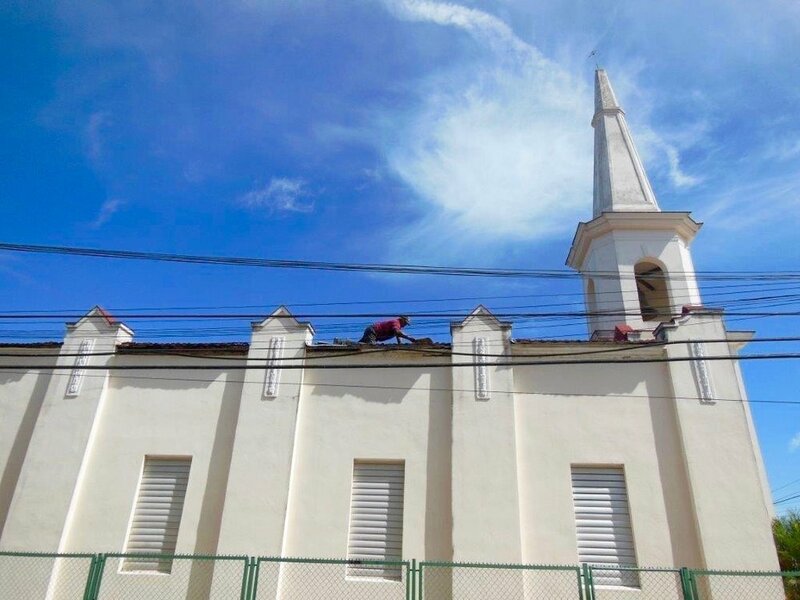 Last spring the church took a collection to help repair the roof of our sister church in Güines, Cuba. It had become like a leaky sieve around the eaves. 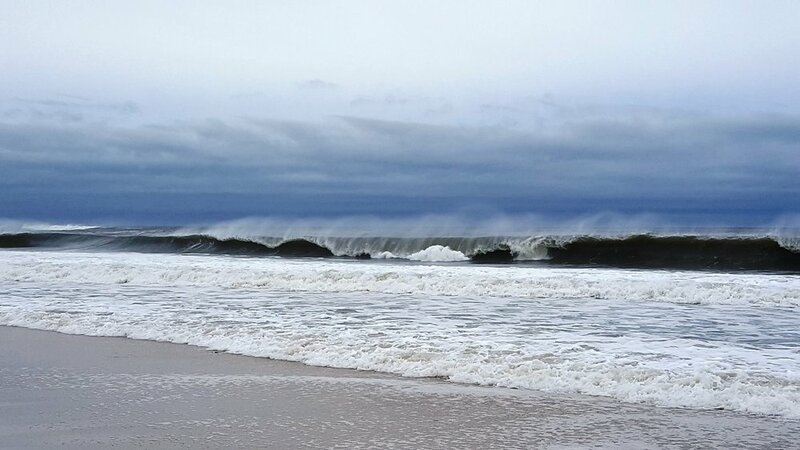 This would seem to be an easy project – for us living on Long Island it would be. Not so in Cuba. The most difficult part was locating the materials needed. The roof is covered in tiles. These, although 100 years old, could be reused replacing some only when necessary. 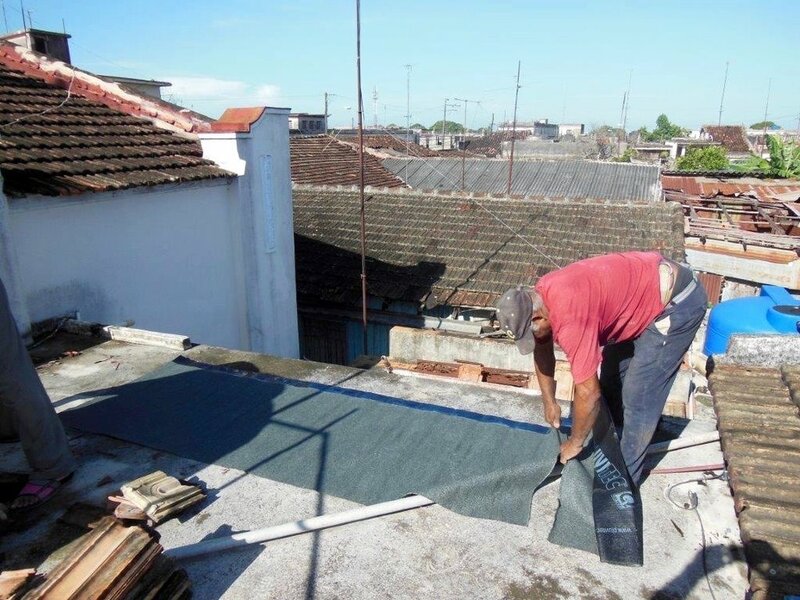 The secret to a tight roof is the underlayment material that does the waterproofing. This was a challenge to find. Cuba has a building boom but most of it is centered in the tourist areas. Materials are scarce, hard to find and expensive. Pastor Abel had to go on a mission to find them. He was tenacious and working through the Cuban underground black-market he located what was needed and drove to Havana City to pick it up. This sounds innocuous enough but he could have been stopped by the police and the materials seized. Getting them back would have been more difficult than finding them. Perhaps you’ll enjoy some of the conversations I had with Abel during the process. 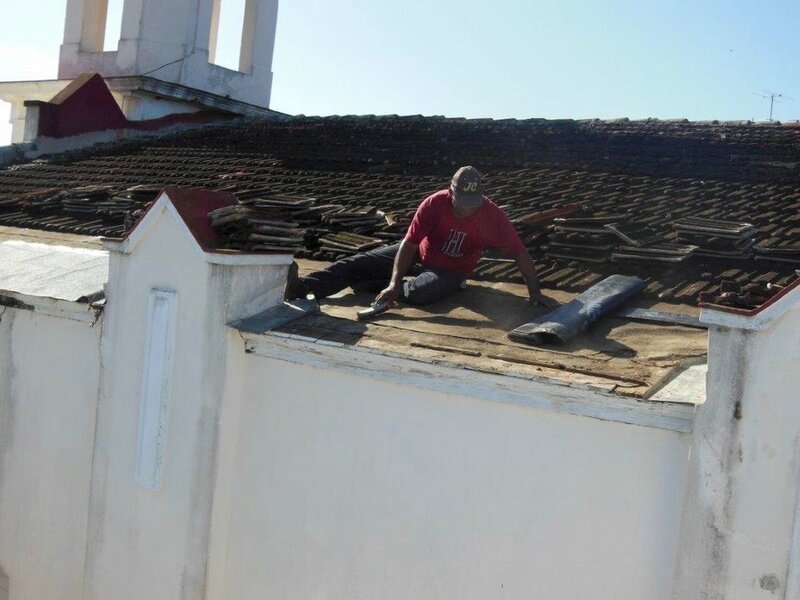 ‘Thank you for all the wonderful pictures of the work that is being done on the roof! Does your wife know you were up on the roof? Oh my God! I did not expect you to be on the roof with the workers! Please take care! Remember, you are not an angel with wings! Hahaha!